« pttrN for drummers » is a random pattern generator. It creates and plays an infinite number of one bar grooves in 4/4, 3/4, 5/4, 12/8 and 7/8. Choose your Hi-Hat figure, pttrN takes care of everything else ! - You can add a snare drum on 2 and 4, or 3. In « FREE » mode, the snare placement is random. - You can choose the maximum number of notes in a row (2 by default). - Choose the level : « EASY » mode generates 8th note grooves. MEDIUM, NORMAL and HARD modes generate 16th note grooves with different note density in one bar. (« NORMAL » means that the probability for a snare, a kick or a silence is equal). PttrN plays the patterns, and for even more FUN, you can have a virtual bass player ! 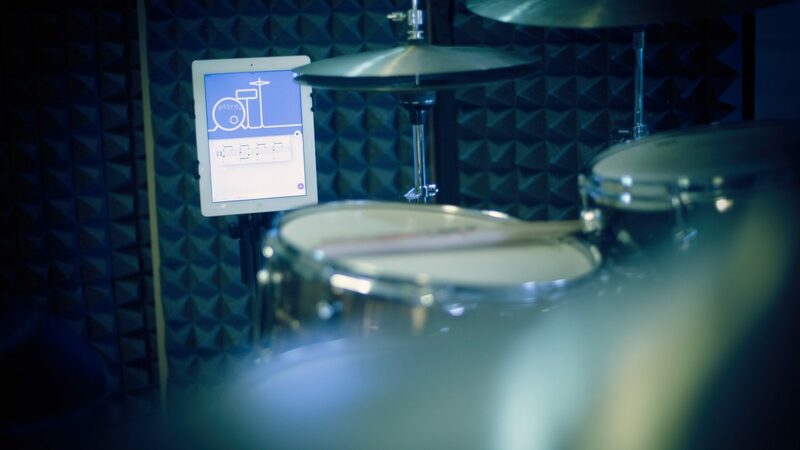 Set your own mix between the metronome, the drums sound and the bass. Don’t stop drumming : Use the AUTO-CHANGE and set the number of bars before pttrN generates a new groove ! 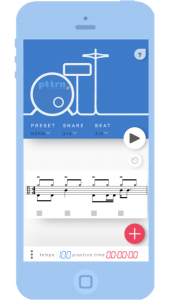 pttrN for Drummers is available in the iOS and Android store !